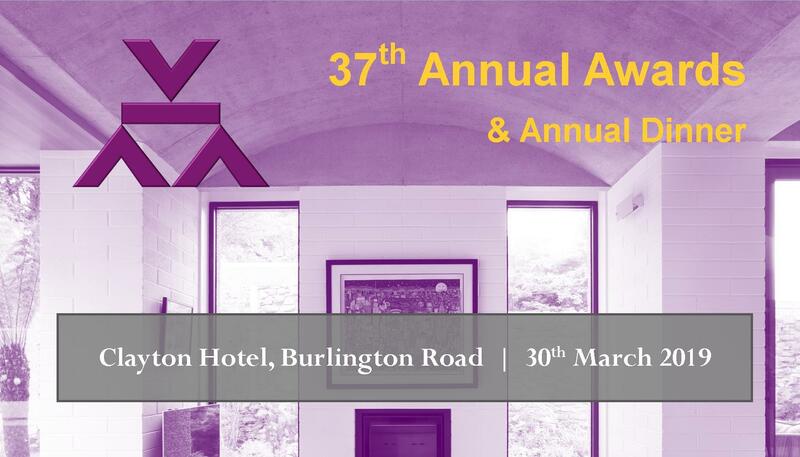 We are delighted to announce that the Irish Concrete Society’s 37th Awards Evening and Annual Dinner will be held on Saturday the 30th of March in the Clayton Hotel, Burlington Rd. The evening will commence with a drinks reception and exhibition of entries at 7.30pm, followed by dinner at 8.30pm. During the evening the main category award winners will be announced and presented, along with the winner of the Sean de Courcy Student Award and the winner of the 7th International Award. The evening also serves as our annual dinner providing an opportunity to meet old friends and make new acquaintances in a social setting where members, their partners and guests are especially welcome. Our dress code is semi-formal / cocktail. With the success of last years event, attracting over 340 people, we are confident that the 37th awards evening will be just as successful. Tickets / Sponsorship can be purchased by contacting the office by phone or email: Office@concrete.ie or (041) 9876466. Alternatively you can use our online event page (online fees will apply). Members can contact the Society for further details about sponsorship benefits.